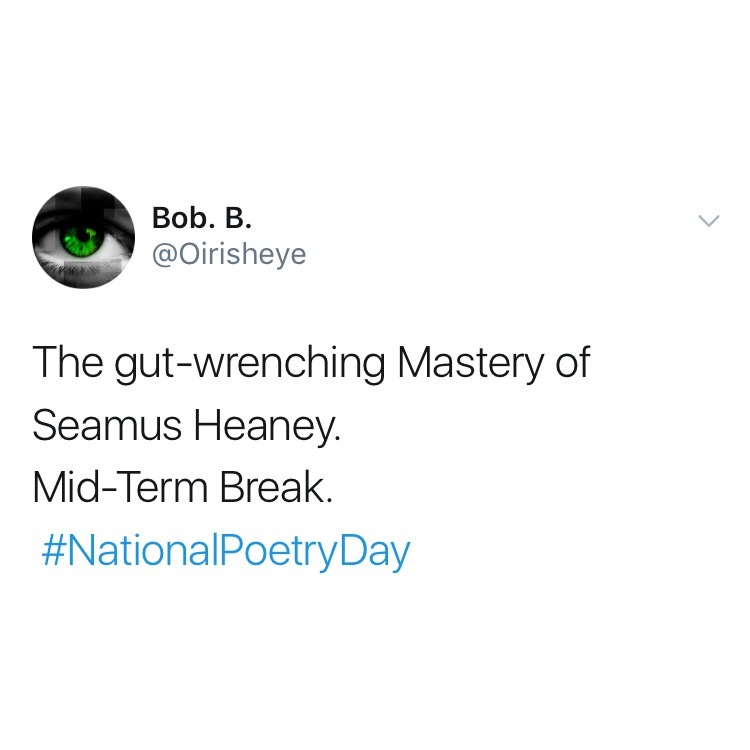 With the Leaving and Junior Certificate exams just around the corner, here at The Circular we thought we’d take a trip down memory lane at five poems that remind us of (the dreaded) English Paper 2. We don’t know about you, but we’ve come to find a second appreciation for them. Eavan Boland failed to turn up for English paper two back in 2010 and some of us are still traumatised from the event. Adrienne Rich was fond of a bit of aliteration and we are too. Seamus Heaney really pulls on the heart strings with this highly emotional masterpiece. The last line gets us every time. A personal favourite here at The Circular, Frost’s poem is just as relevant today as when he wrote it back in 1915. There isn’t a soul on this island that has gone through the Irish education system who can’t recite a line or four of Yeat’s work of art.